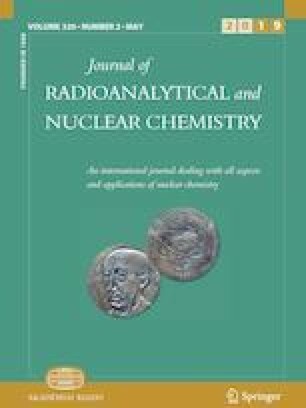 Soil and plants of South India were analysed using standard methods for equilibrium state between radionuclides 226Ra, 210Pb, and 210Po of uranium series. A disequilibrium state was observed, with mean 210Pb/226Ra, 210Po/226Ra, and 210Po/210Pb as 21.71, 5.52, and 0.40; 10.01, 4.21, and 0.43; and 30.86, 9.34, and 0.35 in Coastal Karnataka, Malnad Karnataka, and Malnad Kerala, respectively. 210Po/210Pb in soil was 0.29, 0.30, and 0.49 respectively, for the three regions. Unsupported 210Pb and 210Po might have caused the observed disequilibrium state. The investigation helps to monitor radionuclide distribution and dynamics in soil and plants of the study area. The first author is grateful to the University Grants Commission (UGC), New Delhi, for awarding him a fellowship under its Faculty Development Programme. The authors are grateful to Prof. Karunakara N., Centre for Advanced Research in Environmental Radioactivity (CARER), Mangalore University, for his help in analysing the samples.